This is so pretty! I love that wreath and your cluster is so beautiful! So pretty! Love your paint and rich layers with that wreath! I love your softer shadows on the white background. 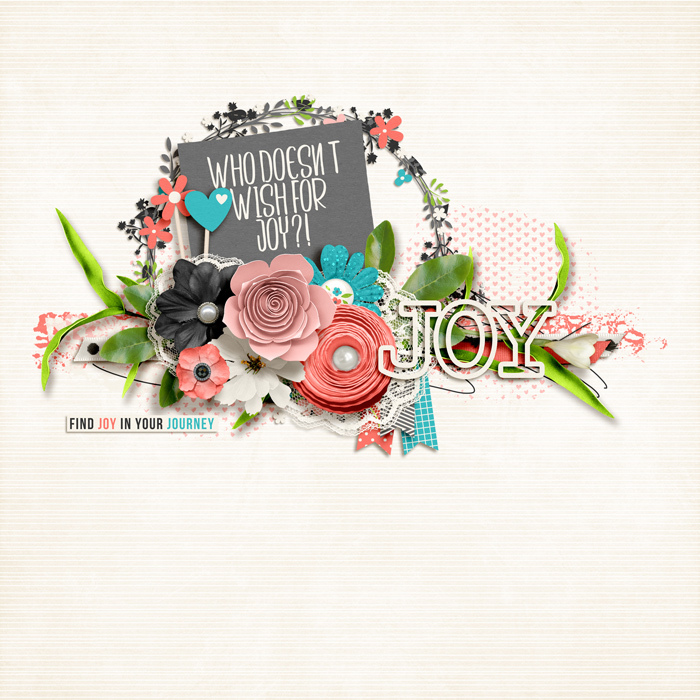 Love your "who doesn't" journal card and your beautiful clusters! this could be a very pretty siggie if you took away the background! I love it! What a beautiful non photo page! Love the word art... and it's so true. Great use of space and awesome clusters! Oooh, this is perfect. Love the journal card with the beautiful clusters. Love your page design as well. Beautifully done. Amazing page, the shadows are awesome and I love the white space! This is gorgeous, Kiana!! Your clustering is beautiful! I love how you used the paint to create a feeling of flow. The wreath behind the card is a fabulous touch! Really gorgeous page, amazing cluster work! Very pretty page! Love the paint in the background & the amazing clustering!